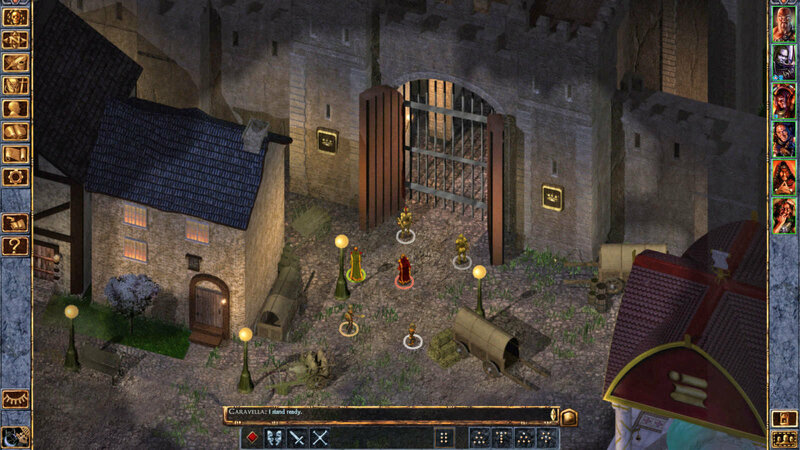 Something to look forward to: Baldur's Gate was largely credited with reviving the role-playing genre on the PC and inspiring a whole new wave of Dungeons & Dragons games. Later this year, you'll be able to experience them in the comfort of your living room on the big screen. Skybound Games is partnering with Canadian video game publisher, developer and distributor Beamdog to bring classic roleplaying games to consoles. Titles destined for console platforms in 2019 include Baldur’s Gate, Baldur’s Gate II, Baldur’s Gate: Siege of Dragonspear, Icewind Dale, Neverwinter Nights and Planescape: Torment. All will arrive as enhanced editions, we’re told, and will be sold both in retail stores and online through Skybound's website. The majority of these six games were originally developed by BioWare and / or Black Isle Studios from 1998 on, the lone exception being Baldur’s Gate: Siege of Dragonspear which came directly from Beamdog in 2016. The games have all previously been released on PC and mobile platforms as enhanced edition but this marks the first time they will appear on consoles. Skybound said additional details including box contents and specific platform support will be unveiled in the coming months. In the meantime, a selection of Beamdog’s games will be on display at the Skybound Games booth at PAX East in Boston from March 28 through March 31.